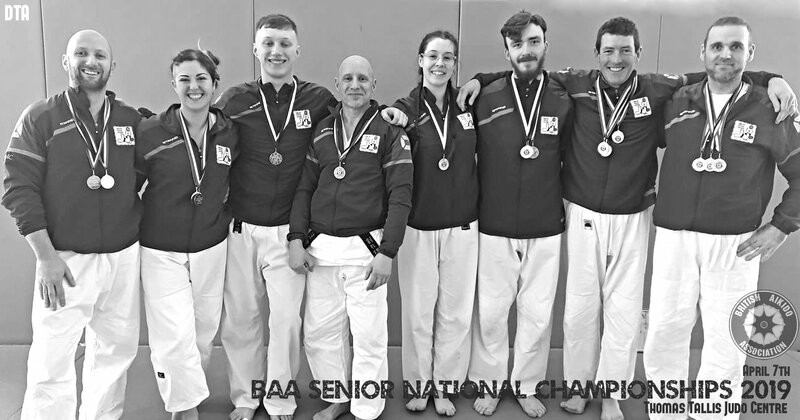 The BAA Senior National Championships this year (2019), held in the Thomas Tallis Judo Centre was well attended, with many squad members of BAA National team in attendance using this event as a bell-weather in their preparations for the upcoming World Championships in July. Eight of our adult members made the trip across to compete with the best UK BAA Club teams, and to meet up with the now-familiar faces of coaches, officials and supporting family members of players within the BAA family. As always we were made to feel welcome. On the day we placed overall 2nd as a team, taking a total of two gold, twelve silver and two bronze medals. 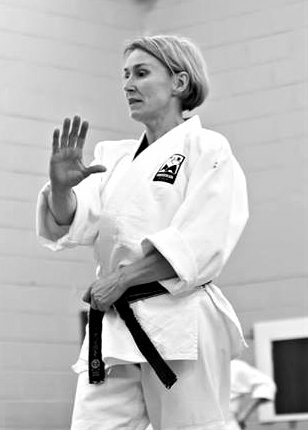 While participating in competitive Embu (koryu kata displays) or Randori (Shiai) competition is not mandatory for progression in Tomiki/Shodokan Aikido, its principles need to be understood and demonstrated competently at various resistance levels during grading. Competitions therefore provide a useful testing ground, a performance opportunity for pressure testing basic skills and capability. Travelling to competition as part of a team provides also the opportunity to bond with club members on a deeper level, meet new players and share a truly enjoyable and unique experience as an adult member. The BAA Senior National championships were organised and run like clockwork by BAA Senior officer Vanda Fairchild. As competitors, we just turn up on the day and all is organised, venue, referees, assistants, formats, rules, timetables, schedules and more. It takes a lot of commitment, effort and leadership.